Malayalam actor Dileep's upcoming film is just hours away for its theatrical release. The political thriller which marks the directorial debut of Arun Gopy is produced by Tomichan Mulakuppadam, the maker behind Mohanlal blockbuster and Malayalam cinema's all-time Industry hit Pulimurugan. 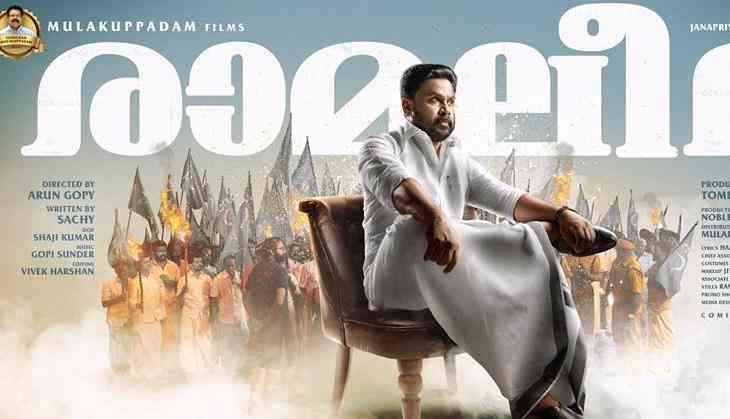 Ramaleela was scheduled to hit the screens on July 7, but the makers had decided to postpone the film following the arrest of Dileep. The Malayalam superstar was arrested on July 10 for his involvement in sexually assaulting a Malayalam actress in February. Ramaleela will also see veteran Tamil actress Raadhika Sarath Kumar make her comeback to Malayalam films after the 1993 film Arthana. Ramaleela also stars Prayaga Martin, Mukesh, Salim Kumar, Siddique, Vijayaraghavan, Suresh Krishna, Renji Panicker and Kalabhavan Shajon.